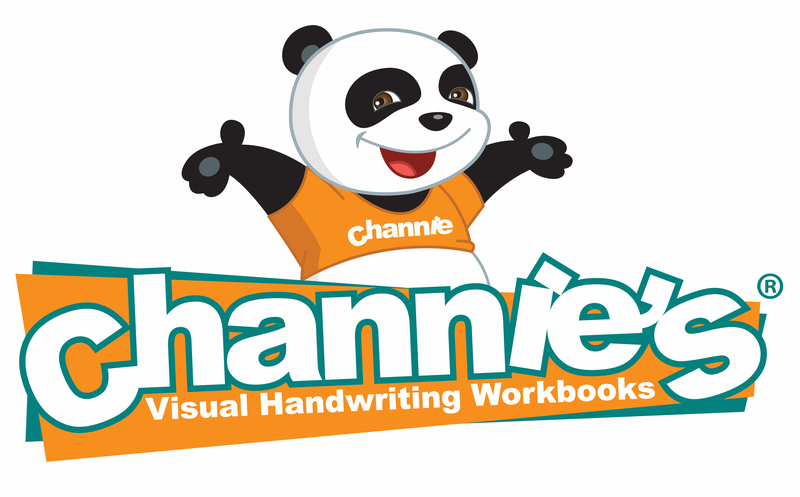 Channie’s Quick & Neat is great for teaching Cursive! This will be great for teaching Cursive First! It makes it very clear where the main floor, attic, and basement are. Glad I found this. Sometimes it’s the little things that make all the difference! A Great Product for Charlotte Mason Homeschoolers! I am so excited to use this to teach my soon-to-be 6 year old daughter cursive first (Channie’s Quick & Neat Cursive Pad). We have several other Channie’s products, so I was confident buying this one. I plan to teach her one letter at a time, then one word at a time, and work up to writing a sentence. I like that this product allows for us to write the words and sentences we want to write, as opposed to a canned writing curriculum. Great product. Even the kids love how is it helping them write better! I have so many young students with very poor writing. These pads are helping them to improve. I am personally appalled at the apparent lack of time our schools are spending on writing. First they dump cursive, and now it appears there is no time to ensure that printing is legible! Sadly, many don’t even see the need to write well! These pads are wonderful! I also think the kids like writing on them and comparing their letters to the ones on the sample card. This pad is perfect for cursive handwriting practice. My daughter loves it and it has really helped with her letters. This little card is so handy to have right next to my son. With this card he doesn’t have to flip back and forth to see how a letter is written. My 7yr old had a very hard time learning to us the lined paper cause he wrote small, but I had a hard time reading his hand writing. I bought this set hoping he would like it and he loves it. He said it’s so much easier to use. We use it for most of his writing. Due to my child having a vision issue, her words would all run together, therefore, there was NO spacing in between words. This allows her to see the lines and where her letters should go. We like this product so far. I can’t tell you how much I appreciate this! I have been really looking forward to receiving the pads. I have a first grader and a fourth grader that I am working on reading and language arts intervention. I have been searching high and low for something like this to add to our learning experience. I think the kids will love the pads and I believe they are going to be super beneficial! I will make sure to share my joy with my fellow teachers on our elementary campus! Thanks a million for helping us teach our little ones! My Son Loved This Math Program So Much He’s Writing His Own Math Problems! Every Friday my son comes home with a Spider-Man folder crammed full of all the practice pages of letters and numbers and craft projects that he has completed during the school week. He routinely removes this folder from his bag and puts it on my desk for me to look at. Once the kids are in bed I open his folder and lovingly look over every page and scrap of paper. I notice every curl of his letters — erase marks, scribbles that landed outside the lines, and every smiley face and sticker from the teacher. Why do I do this, you may ask? For one thing, I am in complete awe of what my son has the ability to accomplish. For another, I want to know what he is learning so that I can help him in the areas where he needs a little extra practice. From the beginning of my son’s life, we began implementing simple ways to encourage his growth. Now that he is in school full time, I am no longer the main educator in his life. The Friday Folder helps keep me included. My son is an amazing reader! This is not a bragging mom statement… Ok, maybe just a little, but is it truly bragging if I am sharing facts? He has already surpassed most of his classmates and is reading at the first grade entry level. Did I mention he is in Kindergarten? He brings home mini-books to practice reading. In order to get new books he must read them to his classmates. He reads them as if he has always been reading! It is amazing to watch. As awesome as his reading skills are, he does have a few struggles. He recognizes all letters, upper and lower case, and the sounds they make. He is able to sound out words that he does not recognize with the slightest of help with the harder words like “together.” However, it is hard to write these words without seeing them. He struggles with which letters form the written word. The other area of learning my son struggles with is with basic math. Yes, you read this correctly. He has to be able to complete and understand basic math problems by the end of Kindergarten. He can count to 100, write numbers, and visually recognize them. The struggle comes when he has to put those numbers into action. He becomes confused and overwhelmed. We have been writing number lines and playing number memory, to help him see that the numbers never change. For example, 2 is still 2 if it is on a card, on a die, on a calendar or a clock. I became a little lost as to how to help my son with these struggles. When the opportunity presented itself to try a set of great work pads concentrating on practicing handwriting and math skills geared toward Pre K to 1st graders, I jumped at the opportunity. Quick and Neat Alphabet Pad is color-coded to help distinguish between upper and lower case letters and proper letter spacing. Easy Peasy Alphabet Pad is composed with both tracing and writing to reinforce letter formation. Quick and Neat Storytelling Pad helps children write independently. After using the “Easy Peasy Alphabet Pad” my son’s letters have become more consistently formed and the spacing of his letters improved. He is also more consistent with correctly forming a sentence, writing an upper case letter at the beginning of a sentence, lower case letters in the sentence and ending with a period. After using the “Quick and Neat Math Line-Up Pad” my son’s ability to write his numbers has improved. He enjoys making his own math problems to figure out. By using the “One Page A Day” he was able to build the confidence to practice single digit math without becoming overwhelmed with a math problem. My son’s teacher has commented on the improvement in his confidence level and his improved penmanship. I recommended these pads to her when she asked what we have been doing at home. I suggested them as a way to chart the progress of a child’s writing abilities from the beginning of the school year to the end. I also suggested the use of the “Quick and Neat Storytelling Pad” to one of the Sunday school teachers for the kids to write their memory verses on with space for them to draw a picture of their understanding of the verse. I also laminated a page from the “Quick and Neat Storytelling Pad” for my toddler. She can repeatedly draw pictures and trace her name as she learns to write. The versatility of the pads is great! I was able to remove pages from the pads and place them in my son’s car busy binder for him to work on during drives to appointments where he continued to use the pages. My son was also able to quietly practice writing his memory Bible Verse on the “Quick and Neat Alphabet Pad” during our church’s conference while guests spoke. I do not understand how these workbooks were able to help my son overcome his struggles where I could not. However, he now has the confidence to write sentences on his own, sounding out the words for himself, and no longer stresses over math. As a parent, that is a huge success in my book!